The Suwannee River, immortalized in Stephen Foster’s song “Old Folks at Home,” flows through southern Georgia and northern Florida. The river serves an important purpose in the local watershed, home to many plants and animals that thrive in its blackwater environment. Like too many waterways in the United States, however, the river is also vulnerable to pollution from industry and development, threatening not only the area wildlife but the people who depend on the river as well. The Suwannee River has its headwaters in the Okefenokee Swamp near Fargo, Georgia. It flows southwest through the southern part of the state, joining with the Alapaha and Withlacoochee rivers, then cuts across the base of the Florida panhandle to empty into the Gulf near the town of Suwannee. The meandering waterway serves as a drain for much of southern Georgia and northern Florida, and pollution sources in the basin represent a threat to the entire region. One of the primary pollution threats to the Suwannee River comes from the agricultural operations in the basin. Runoff from farms includes excess nitrogen and nitrates from fertilizers, and when these substances combine with phosphorus leached out of mineral deposits by the running water, it creates an environment beneficial for algae. State programs to reclaim the nitrates in fertilizer and animal waste have helped reduce nitrate concentrations in the Suwannee River basin, but this remains a potential problem for the waterway. A point source of pollution that affects the Suwannee River is the Withlacoochee Water Treatment Plant in Valdosta, Georgia. Under normal circumstances, this plant releases safe, treated water into the Withlacoochee River, which then flows down and joins the Suwannee before emptying into the Gulf of Mexico. The area is prone to flooding, however, and on Feb. 27, 2013, it shut down for three days due to heavy rains. This allowed 15 million to 20 million gallons of untreated wastewater to overflow and pass into the river system, tainting the Suwannee as it flowed downstream. Florida and Georgia water officials released advisories to the public and monitored the contaminated waterways until the wastewater had dissipated, but the potential for further contamination remains. One of the major concerns about pollution in the Suwannee area is the potential lag time of any contamination. In the natural water cycle, pollutants that pass through the ground can end up in the aquifer, the underground store of water for the region. It can take up to 20 years for water to cycle through the aquifer and re-emerge, meaning that the effects of pollution and industrial accidents may not be evident for many years. For this reason, ecologists and water officials work to prevent contamination of the water table in the region and monitor any pollutants carefully. 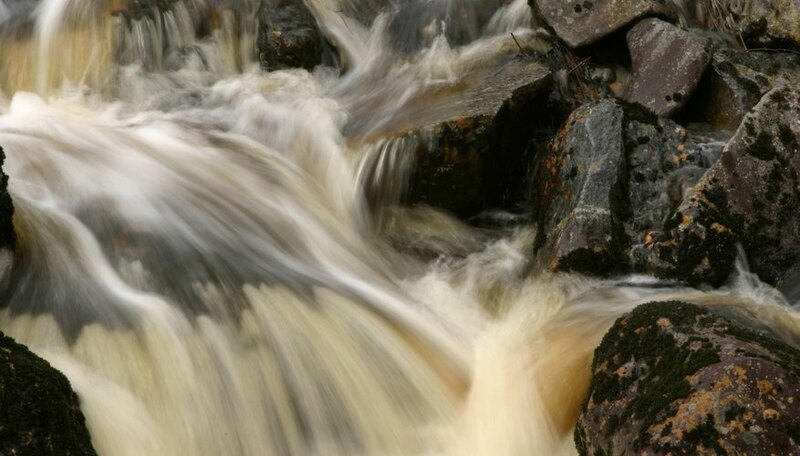 Environmental Protection Agency: What is Nonpoint Source Pollution? What Is a River Flood? Kazmeyer, Milton. "Suwannee River Pollution." Sciencing, https://sciencing.com/suwannee-river-pollution-21012.html. 25 April 2017.